As you fill out a Love’s application, know that you are trying to join a family over ten thousand strong that strives to provide outstanding service to every customer that walks through their doors. Links to apply for jobs at Love’s are at the bottom of the page. Tom and Judy Love leased an old gas station in 1964 in Watonga, Oklahoma and called it the Musket Corporation. Within the next eight years, the corporation grew, adding forty more locations. With the gasoline shortage of the 1970s, the company diversified, adding mini marts to all of their locations. The company thrived and opened more locations before 1973, when the company changed their name to Love’s Country Stores. Before 1980 hit, the company had sixty locations in the heart of the United States and had added Love’s Subs to their stores. 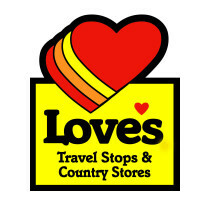 In the early 1980s, Love’s had a hundred stores open and had added diesel service to their lineup, pulling in professional and leisure drivers. Throughout the rest of the 1980s and the 1990s, the company grew. In 1993, the company partnered with Taco Bell and increased revenues and continued to expand. Currently, Love’s has over three hundred stores in thirty-nine states. On a yearly basis, the company opens anywhere between twenty and twenty-five stores and has been listed on the Forbes List of America’s Largest Private Companies three times within the last ten years. Most of Love’s jobs at the corporate level are in Oklahoma City, Oklahoma setting up and making sure that various stores are running smoothly. There are positions available in other parts of the United States, but several of them require extensive traveling as you’ll be checking on customer service in local stores. Local jobs are available across the United States. As Love’s has a very broad spectrum for their customers to use, a gas station, store, restaurant, and small mechanic area, there are positions available in all of them. Above all, in every position, providing outstanding customer service is key. How old do you have to be to work at Love’s? Age requirements vary by position. Make sure, as you browse Love’s jobs online, to read all job requirements closely as some need various degrees, certifications, or experiences before sending in an application. People with Love’s careers get several benefits including a medical, dental, vision, and life insurance, a 401K, and holiday pay. Most positions also get flexible scheduling and employees are offered classes in order to move up in the company. Diesel Mechanic – By providing light mechanical work, you’ll help keep drivers on the road so they can make it to their destination safely. Although the mechanical work, it needs to meet the high company standards to. Compensation is around $35,000 a year. Restaurant Team Member – Having a friendly attitude when customers come in to order their food is a big part of this position. You’ll make sure that all the food and the kitchen meets state, federal, and company standards. Compensation is around $20,000 a year. Retail Cashier – By knowing everything about the area, you’ll be able to answer any questions that a customer may have. Having a smile on your face is important as you’ll work to get customers in and out quickly so they can make it to their destination. Compensation is around $20,000 a year. Store Maintenance Technician – Making sure that things run smoothly with store equipment and within the store itself is what this job is all about. You’ll help keep the merchandise clean and organized for any customers that come in. Compensation is around $35,000 a year. Mystery Shopper – This position is very travel heavy because you will go from store to store, posing as a shopper in order to evaluate the functions of every store to make sure that they are meeting company standards. Compensation is around $50,000 a year. District Manager / Store Manager – You will work to make sure that the store meets company standards by maintaining a well trained staff that exhibits excellent customer service. Also, you will make sure that your stores are clean and well maintained. Compensation is around $50,000 a year. Why do you want to work for Love’s? As this is an extremely common interview question, you should be prepared for it. Talk about what drew you to the company, whether it was the company culture or benefits and why it’s your first choice in places to work. What experience do you have? Highlight all of the relevant experience that you have. If you’ve done any customer service, make sure to talk about it. Use plenty of examples to back up and enhance any claims that you make about what you can do. Where do you see yourself in the next few years? Your interviewer is trying to see if you want to stick with the company. Be realistic in your career expectations, but make sure they know that you’re willing to take on extra challenges and responsibilities in order to move up in the company. As this company relies heavily on customer service, you may be asked this question in the form of a hypothetical situation: How would you take care of an upset customer? Make sure to be practical and realistic as you walk through the steps that will turn the customer’s experience around. Several Love’s jobs require driving or traveling to various locations, so if you’ve applied for one of those positions, you may be asked: Do you have a good driving record or a valid license? Be honest. The company really wants to make sure that you’re going to reach your destination safely. How to apply for Love’s online: start by deciding if you want to go the corporate or local route, and if you don’t know, follow the second link which will set you up with a talent agent to get you connected with the right position. Once you’ve decided, search for the job that you want, making sure to read all job requirements closely, before filling out your Love’s application. There is no printable application for Love’s available on their website. Before your interview, do research on the company and the industry in order to create a list of questions that you can bring with you to your interview. This may seem excessive for an entry level position, but it will place you in front of other candidates as it shows that you think ahead. Have a positive and friendly demeanor when you attend you interview, it will give a good impression and show that you’re already thinking about the customer. Dress appropriately in business casual, at the very least, as your interview will be in a semi-formal setting. If you’ve applied for a corporate, managerial, or supervisory position, a suit would be more appropriate. Make sure to show gratitude at the opportunity to interview with this company. Afterwards, make sure to inquire about the best way to check on your hiring status as few applicants will learn if they got the job during the interview. Love’s will want to screen all candidates before making a final decision on who they hire. Kum & Go: See this page for jobs at Kum & Go. Hess: For career opportunities, fill out the Hess online application. Extra Mile: Extra Mile offers opportunities for both, beginners and experienced roles. Chevron: Checkout the application page for work at Chevron. Wawa: For employment at Wawa visit the application page.